The Hostgator Business plan review takes a deep look at the most advanced shared hosting offered by Hostgator. It’s also the one with the biggest discount. I’ll also quickly go over the differences between the business and baby plan below. Compared to the Hostgator Baby plan, this gives you a massive discount of 78%. 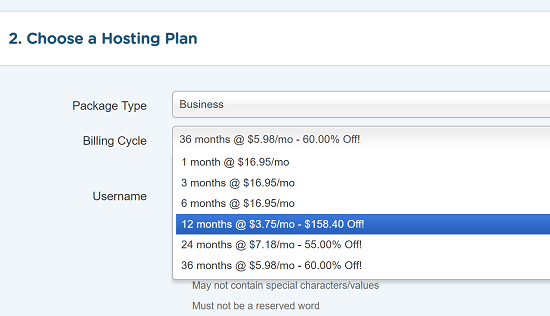 That’s the highest discount of all three Hostgator shared hosting plans. Here’s a complete list of Hostgator coupon codes in case you want something different like extra savings for 3-year hosting instead of just one year. Here’s a list of features that are included with the Hostgator Business hosting plan, but not with the Baby plan. These days, no web host should ever charge for an SSL certificate. Except for GoDaddy, all major hosting providers offer free SSL. These are usually Let’s Encrypt certificates, or AutoSSL like with InMotion. Hostgator also offers free SSL with all its plans. However, the Business plan includes what is known as a positive SSL, over and above Let’s Encrypt. In short, the positive SSL might inspire a bit more trust from your customers if you accept payments online. The TrustLogo seal and warranty provide you with additional protection. With Let’s Encrypt certificates, your hosting provider probably takes care of automatically renewing it for you, so you don’t have to worry about the 90-day limit. Personally, I don’t think having a positive SSL is such a big deal compared to Let’s Encrypt. But it’s nice to have, I suppose! It won’t make your entire address bar green like an Extended certificate. So be aware of that! The Hostgator Business hosting plan provides you with a free dedicated IP address for your website. The Baby plan has this for an additional $4/month. That’s a huge amount compared to the cost of hosting! So if for some reason you need a dedicated IP address, you should go for the Business plan without a doubt. Do you need a dedicated IP? Probably not. Unless you’re running some special service that you want to access directly via the IP address – maybe for performance reasons. If you need to have a publicly accessible folder where people can access, download, and upload files, then you require a Hostgator Business hosting plan. Again, this seems to be a pretty niche scenario, and I don’t think most websites will need it. Replace example.com with the name of your own domain. The difference between example.com:2083 and example.com:2082 is that 2083 takes you to a secure login page, whereas 2082 can take you to an insecure page over plain HTTP. Always try and use 2083 to log into cPanel unless you have no choice. You can read more about the different ways to log into cPanel. These methods for login apply to all shared hosting accounts, and not just to the Hostgator Business hosting plan. You can also contact them via live chat. They’re available 24/7! What About Hostgator Business Plan Free SSL? As mentioned above, all Hostgator plans come with free SSL via Let’s Encrypt. However, the Hostgator Business hosting plan in particular comes with a free positive SSL as well, which can inspire more trust, and can also be renewed for up to two years. Is Hostgator CodeGuard Worth it?